CHARMS children's tee-shirt. $15.00 plus postage. Email printscharmingbooks@gmail.com to order. Include your postal address so we can calculate postage. 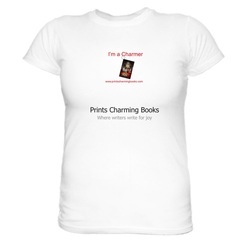 CHARMS women's tee-shirt. $28.00 plus postage. (If you prefer to buy the men's shirt, that looks fine on women too.) Email printscharmingbooks@gmail.com to order. Include your postal address so we can calculate postage. 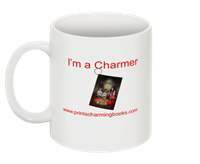 CHARMS mug. $17.00 plus postage. Email printscharmingbooks@gmail.com to order. Include your postal address so we can calculate postage. 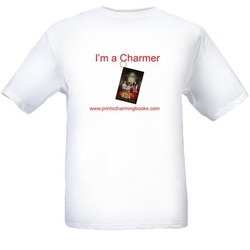 CHARMS men's (or unisex) tee-shirt. $18.00 plus postage. Email printscharmingbooks@gmail.com to order. Include your postal address so we can calculate postage. CHARMS key-ring - $9.00 + postage. Email printscharmingbooks@gmail.com to order. Include your postal address so we can calculate postage. 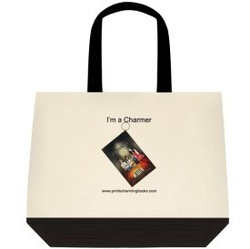 CHARMS bag, $22.00 plus postage. Email printscharmingbooks@gmail.com to order. Include your postal address so we can calculate postage. Keepsakes teeshirt. Around $11.00 plus postage. Email printscharmingbooks@gmail.com to order. Include your postal address so we can calculate postage. 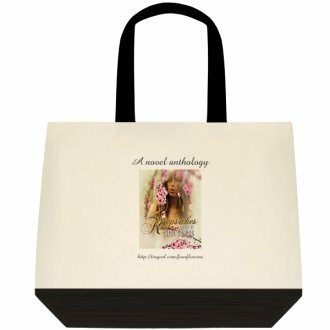 Keepsakes bag. $22.00 plus postage. To order. email printscharmingbooks@gmail.com with your address so we can calculate postage.